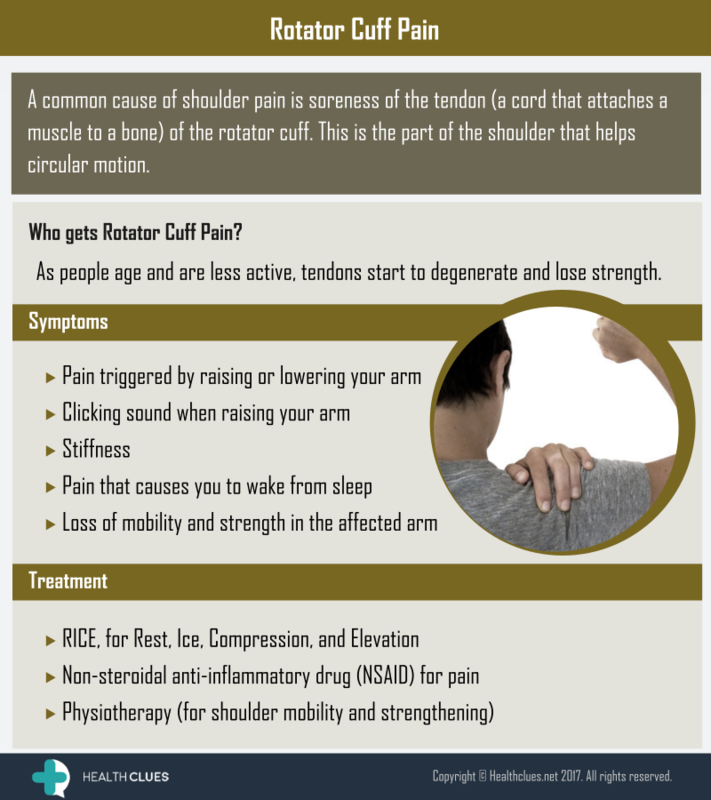 A common cause of shoulder pain is soreness of the tendon (a cord that attaches a muscle to a bone) of the rotator cuff. This is the part of the shoulder that helps circular motion. As people age and are less active, tendons start to degenerate and lose strength. General, Infographics frozen shoulder, RICE therapy, rotator cuff, rotator cuff pain, shoulder pain, shoulder stiffnss, soreness, tendons. permalink.